Kanha is the flagship wildlife park of Central India. It was established in the year 1955 but it is more than 100 years old. The first landmark scientific study was done by the world renowned naturalist Dr George Schaller during 1963 to 65 and the book “The Deer and the Tiger “is still the legend. Vast majority of tourists are attracted for seeing India’s national animal in its natural habitat i.e tiger. Other wildlife which is normally seen is spotted deer, sambar, wild boar, Indian gaur, jackal, wild dog (dhole ), barking deer, leopard etc. A large variety of birds such as peacock, racket tailed drongo, golden oriole etc are also seen. The park is famous for hard ground barasingha, one of the most beautiful deer in the world. In the past its population had plummeted to 60-70 in the wild. However conservation efforts has increased the population of more than 400 at present. It is generally seen in Bishanpura Maidan of Mukki Range as well as Shravan Tal and Sauf ka Maidan in Kanha Range. As the population of tigers had reduced considerably it was difficult to spot tigers in the game safaris. Hence park authorities used to arrange for tiger shows for the benefit of the visitors, whereby after spotting a friendly tiger with the help of number of mahouts, visitors were taken by the mahouts on the elephant back to the nearest point from where the tiger could be easily seen. The visitors were allowed a time of a few minutes for taking record shots. No doubt the visitors were mesmerized by the look of the majestic tiger. 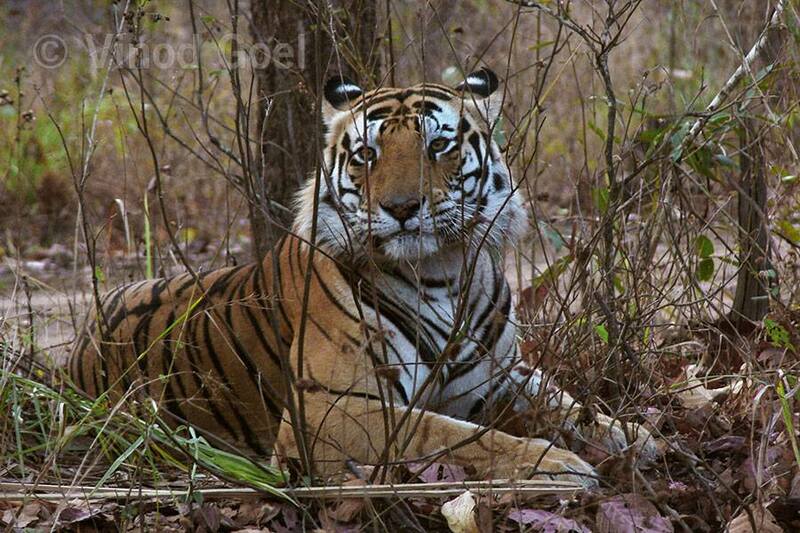 My first visit to any national park was at Kanha in April 2004. Thereafter I was a regular visitor till 2009. 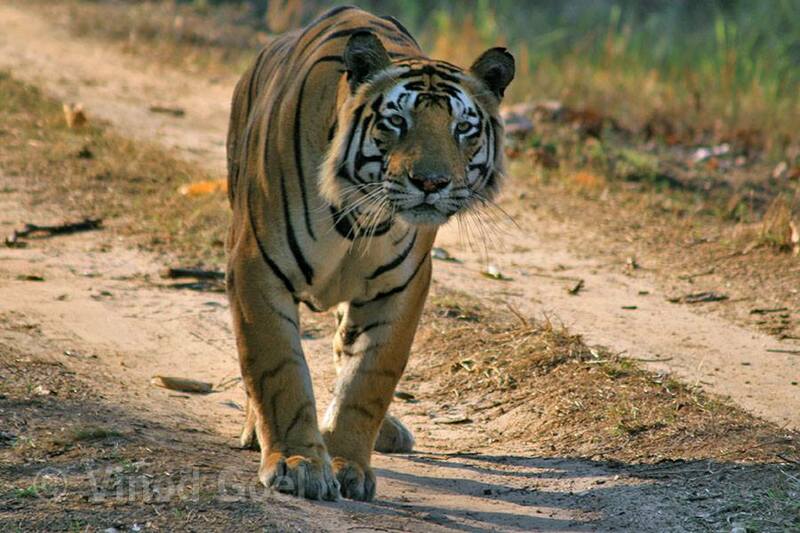 I can not forget 9th April 2009 as we met tiger namely “Munna; on route no 9 and we were 5 people in the safari. The letters C A T are imprinted on its head which signifies the BIG CAT. The figures combines to specify the digit 9995 which is the purity of Gold. So far us that was the golden day at KANHA Tiger Reserve. Kanha is not only a school for the naturalists and the researchers who devote their time to study various bio-diversities and its habitants but also all the visitors who are coming for being with the nature for enjoyment. One returns with a changed heart and definitely respect for the nature. 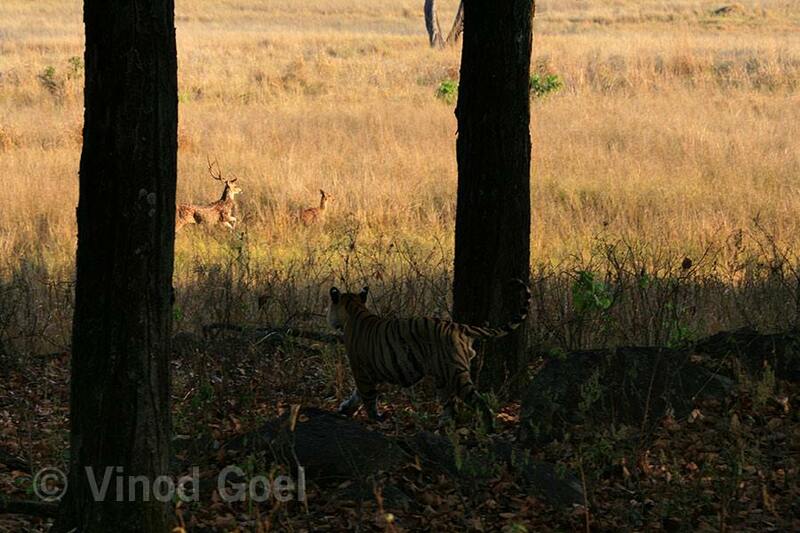 One of the image depicts the famous book The DEER and the TIGER written by Dr George Schaller. The other two represents the BIG CAT ,the tiger ,the flagship specie of our country.